Chili is one of the most simple yet flavorsome dishes you can create, and when using a slow cooker chili recipe you’re able to take even more of the hard work out of this amazing meal. Chili can be modified to meet anyone’s taste buds, with options to serve it spicy or mild, and with a range of great side dishes. 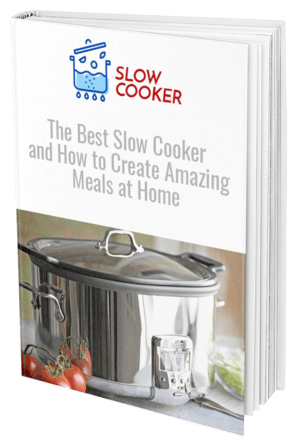 Cooking chili with your slow cooker or crock pot is the ideal way to trap most of the flavors and aromas that are lost with standard ways of cooking. By adding the ingredients to the pot and letting heat and time work their magic, you can guarantee a restaurant quality meal. Slow cooker chili doesn’t need to be complicated, with a few simple but effective ingredients you can reach these intense flavors for a meal that will please the whole family. When entertaining guests, chili is always a crowd favorite so it’s handy to have a good recipe up your sleeve. 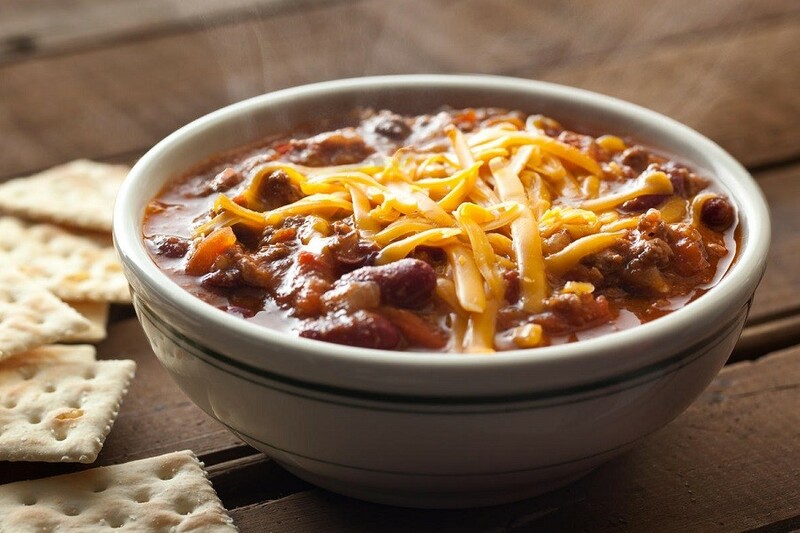 Chili is one of the most versatile recipes available, with ways to make it truly special and unique every time you create a batch. Each family may have their own secret recipe, or you might enjoy adding random ingredients until you hit that perfect flavor combination. There’s no denying that slow cooker chili is the ultimate way to get the very best flavors out of your ingredients, and letting them simmer all day long will achieve a flavor that can’t be beaten. Simply add all of the ingredients to the pot and let your slow cooker do the rest of the hard work. Finding your slow cooker chili recipe might depend on a few factors until you reach the perfect combination to suit your taste buds, but half the fun is in experimenting. You might prefer it extra spicy, or perhaps without any meat, but whichever way you do it there’s no denying that a slow cooker is best. As chili is one of the meals that takes our own personal taste to influence, it’s handy to create your own slow cooker chili recipe that suits your individual sense of flavor. 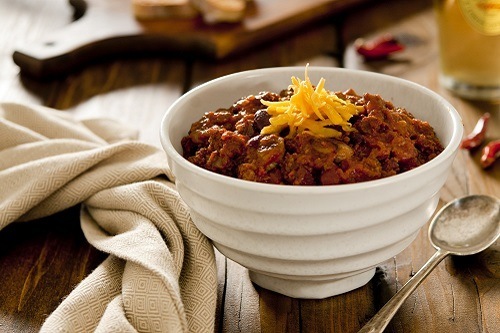 However, there are a few crucial ingredients for any good chili that can be modified and added to for your own creation. How much of each you add will depend on personal taste, but having sautéed onion and minced garlic is essential for the initial flavor kick in slow cooker chili. Whether you want to use fresh tomatoes or one from a tin, there’s no better way to achieve the deep red and rich colors of chili than with this amazing vegetable. Vegetarians can leave the beef out and increase their bean intake, but for those meat lovers among us, minced beef is the ideal choice for this delicious recipe. You might be able to use minced chicken or pork if you wish, and cooking it all day in the crock pot will add to its tenderness too. Beans are recommended even if you’re adding beef too, to give the authentic Mexican feel and some added fiber and goodness to your meal. You can select either chili beans or something plain, and allow the flavors of your recipe to soak in. The most essential part of this recipe and one that will vary depending on personal taste is chili. Some might like to add chili direct from the plant, whereas others use chili powder or paste. However, you do it, be sure that you can handle the heat. The beauty of cooking with a crockpot is that you can add all of these ingredients and more to the one pot and let it cook all day long as you go about your business. Slow cookers are ideal for meals like this, and the long cooking time will simply bring out the flavors and rich color of the chili even more. 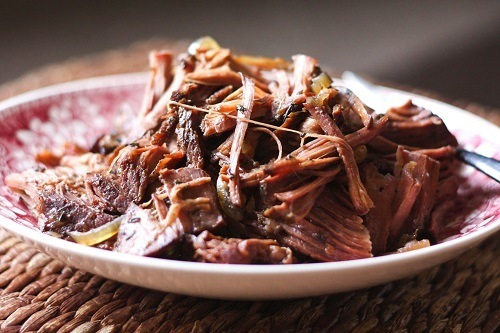 Although you may have the best recipe around, pulling it off with precision requires the absolute best slow cooker around. Having the freshest ingredients and cooking know-how is just half of the battle, and the rest is using the right appliance to get the job done. The best slow cookers for chili and ones that will help infuse the flavors, so opt for something stoneware or ceramic. This will help to trap in the flavors that are so important to chili recipes and keep them fresh and aromatic for when it comes time to serve them to your friends. 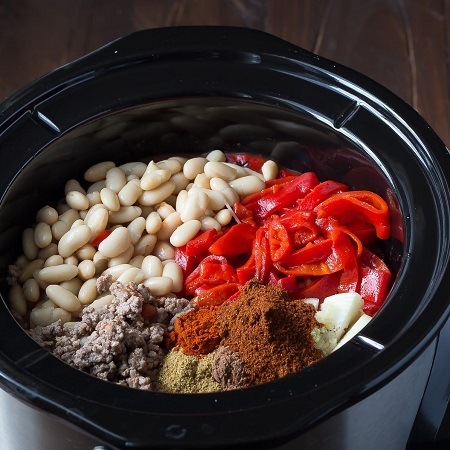 Try a classic style of slow cooker such as the Crockpot Classic for something simple yet effective for cooking chili. If you’re entertaining guests and need to cater for varying degrees of spiciness, you could even use a dual or triple slow cooker such as the Tru Dual Crock Buffet Cooker so you can suit all types of taste buds. Once your slow cooker chili is done, you can now get creative with how you serve it. While some people like the traditional method of scooping up their serving in a bowl and adorning with some fresh coriander and sour cream, you can think outside the box a little and add some of these great side dishes. Some flavored rice for a more hearty meal that will keep you fuller for longer. However you choose to eat your slow cooker chili, there’s no denying that you’ll be satisfied with the intense flavors you’ve created. After just a few attempts, you’ll have created your very own family secret recipe that you can share for generations.